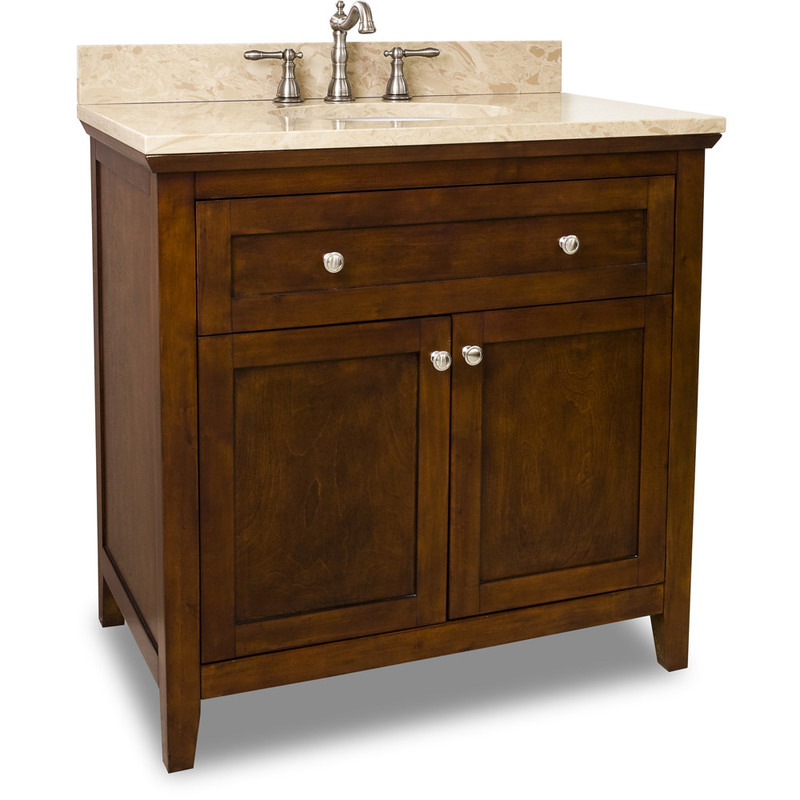 With its simple traditional design and solid birch construction, the 36" Vittoria Single Vanity in chocolate has great looks that will last. 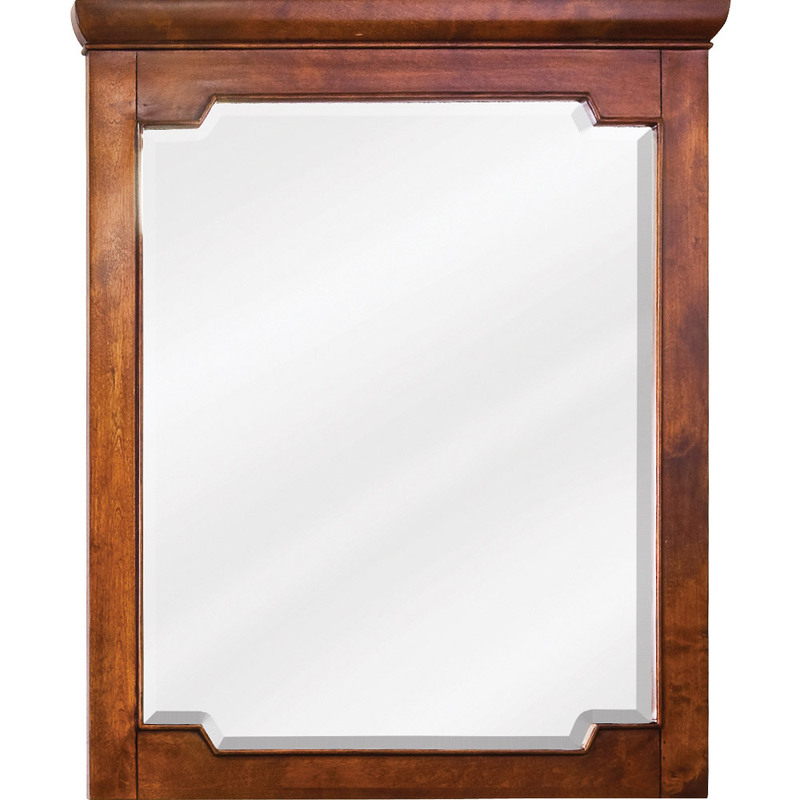 Its traditional look is created by its tapered legs, inset panels and rich chocolate finish. 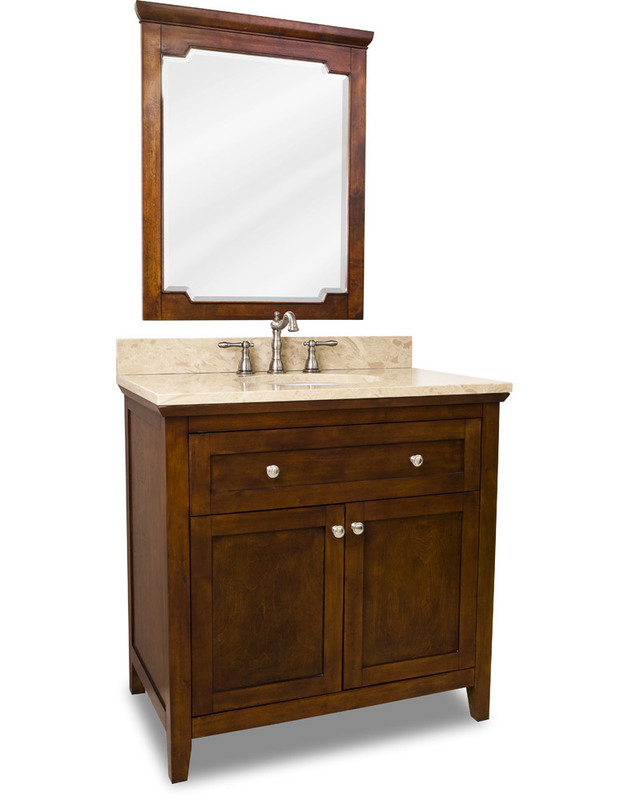 The single vanity has a beautiful cream marble counter top, which is very spacious. The single drawer and cabinet provide lots of bathroom storage, and their soft close hardware prevents them from ever slamming shut. 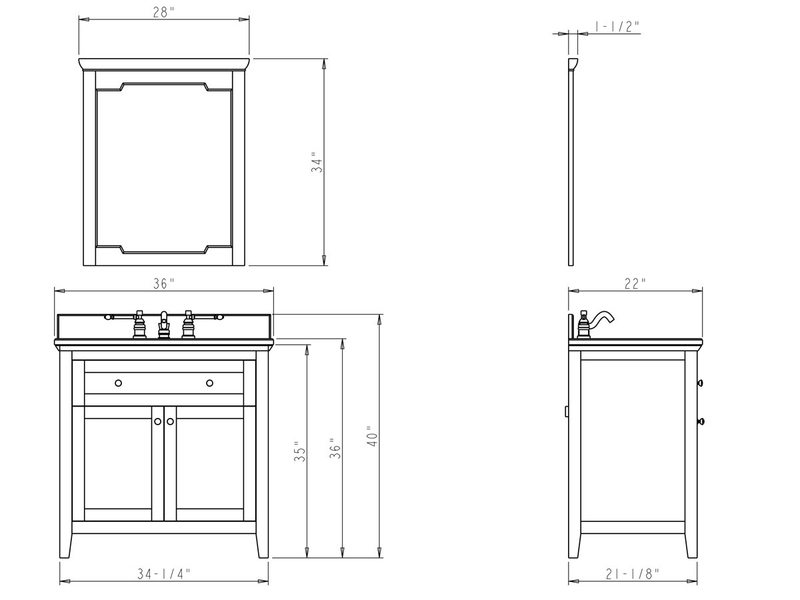 To fully outfit your traditional style bathroom, a matching framed is available with this vanity. 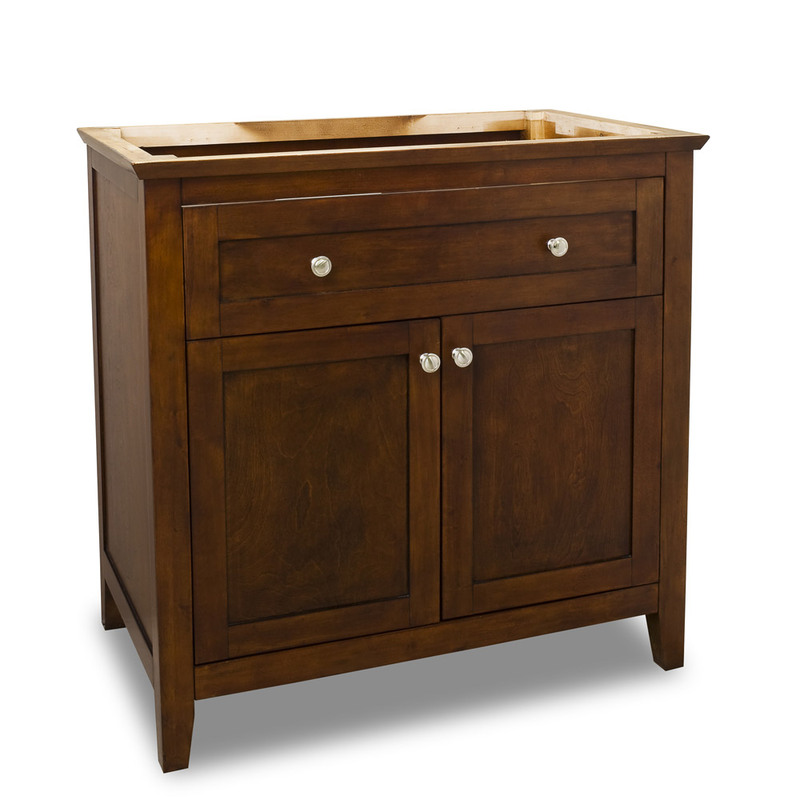 Also, you may select to remove the top and bowl from this vanity if you desire a slightly different look.